USATF-certified course along a portion of America’s longest Main Street in historic Belleville, IL, near downtown St. Louis. Boston Marathon-qualifying race that offers an affordable registration fee, tremendous hometown course support from enthusiastic volunteers, and all the swag and amenities of a big city race but with small-town charm. This race is ideal for both newer and experienced runners. Race swag includes a medal for all finishers and a long-sleeve T-shirt and other goodies for all registrants. 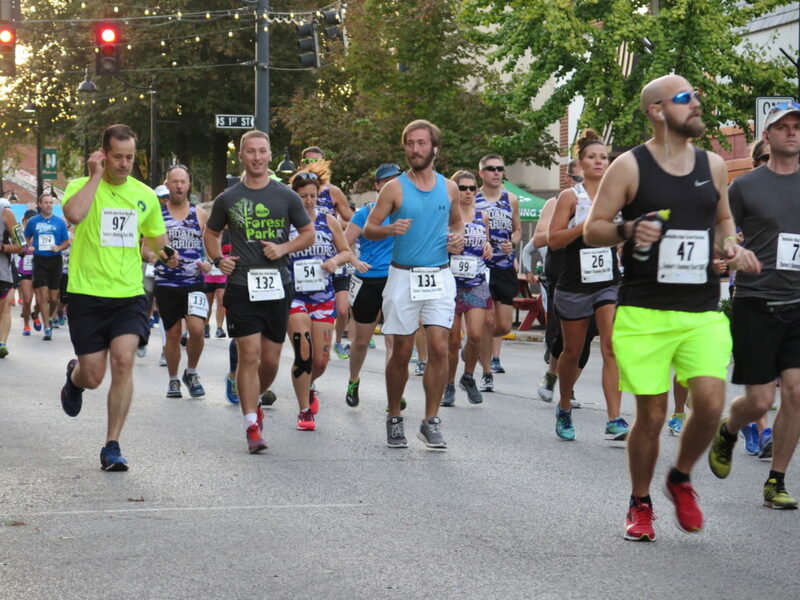 Race amenities include free post-race food and beverages (including beer for finishers 21 years and older); lots of energetic volunteers and spectators; ample water and fueling stations and port-o-potties along the course; and awards in numerous divisions. 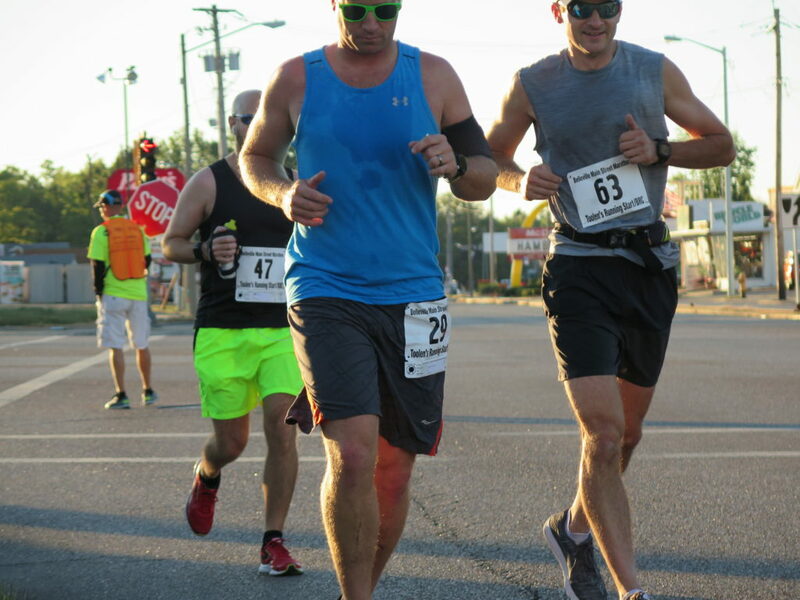 Click here to check out what other runners have to say about the Belleville Main Street Marathon at MarathonGuide.com. We have helped hundreds of runners from all ability levels to train and finish the Belleville Marathon. 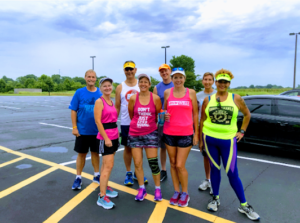 COURSE: Boston Marathon–qualifying course that includes America’s longest Main Street, portions of a paved running/bicycle trail, and neighborhood roads in historic Belleville, IL, which is just a short drive from St. Louis, MO. Ample hydration and fueling stations and enthusiastic volunteers to cheer you on along the course! 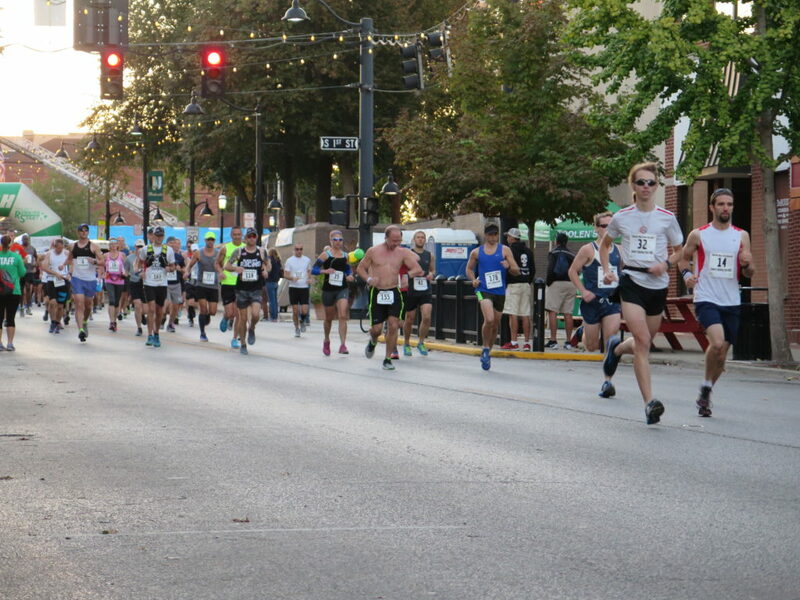 Race begins in downtown Belleville on Main Street, just west of the Public Square between Illinois 159 and First Street. TIME: The marathon begins at 7 AM, and course support ends at 2 PM (see below for rules and times that apply to course support). AWARDS: The top 3 overall male and female finishers; top male and female master finishers; and top male and female wheelchair finishers will receive awards as will the top 3 male and female finishers in each of the following age divisions: 18-19; 20-24; 25-29; 30-34; 35-39; 40-44; 45-49; 50-54; 55-59; 60-64; 65-69; and 70 & older. All finishers, regardless of placement, will receive a participant medal. Due to liability and safety issues, the age limit requirement of being 18 or older will be strictly enforced. 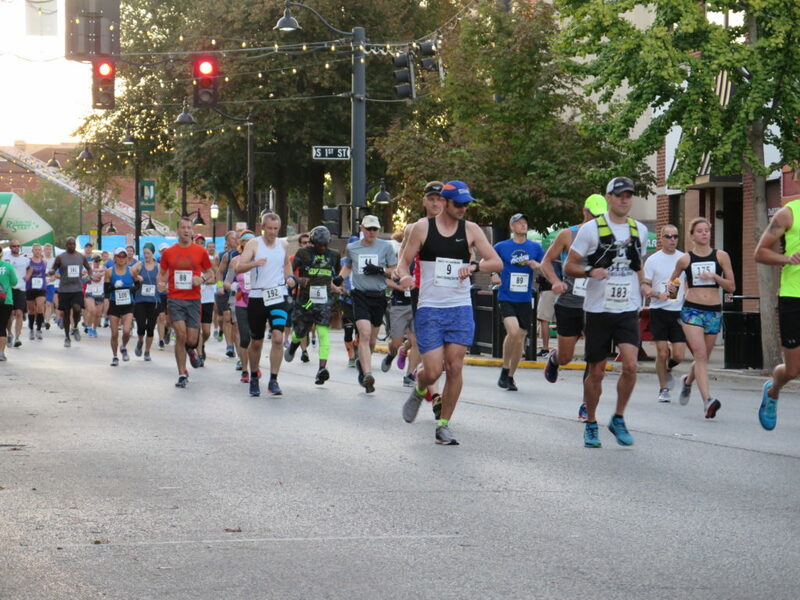 ENTRY FEES: Entry fee November 27, 2018, to January 13, 2019, is $55 (CASH/CHECK) if postmarked by January 13, 2019. Registration January 14 to July 15 is $70, after July 15 is $80, and after September 1 is $90. 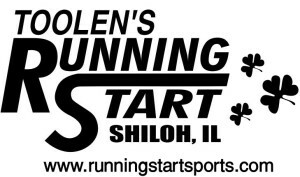 Please make checks payable to Belleville Running Club and mail to Toolen’s Running Start, 3260 Green Mount Crossing Dr., Shiloh, IL 62269. Entry fees are nonrefundable. Race will be held rain or shine. 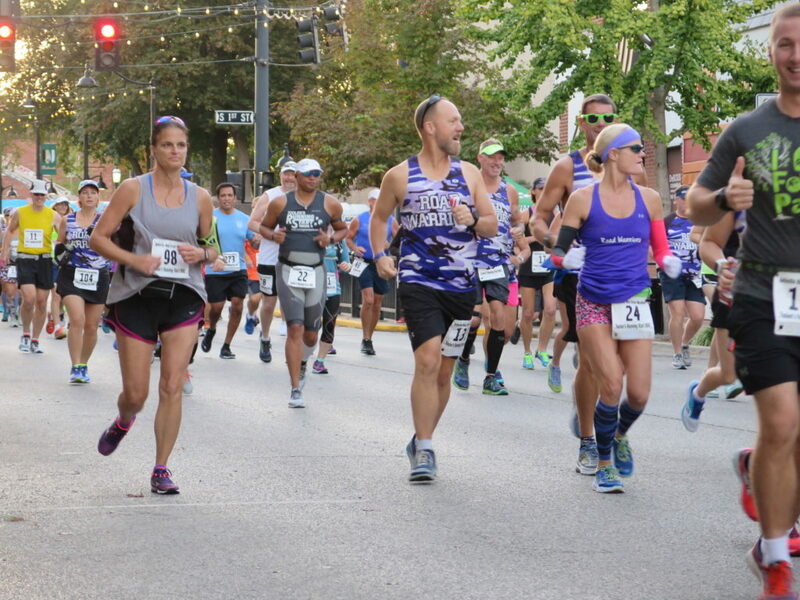 COURSE SUPPORT: This is an open course on open roads, and participants must be at mile 13 by 10:23 am or they will be transported by an official race vehicle to another point on the course and allowed to cross the finish line with an unofficial time and to receive a finisher medal. 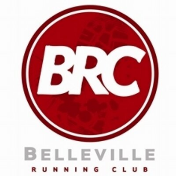 PARTICIPANT AND ADDITIONAL INFO: For specific questions, e-mail info@bellevillemarathon.com or contact Toolen’s Running Start at 618-628-9898 or www.runningstartsports.com. 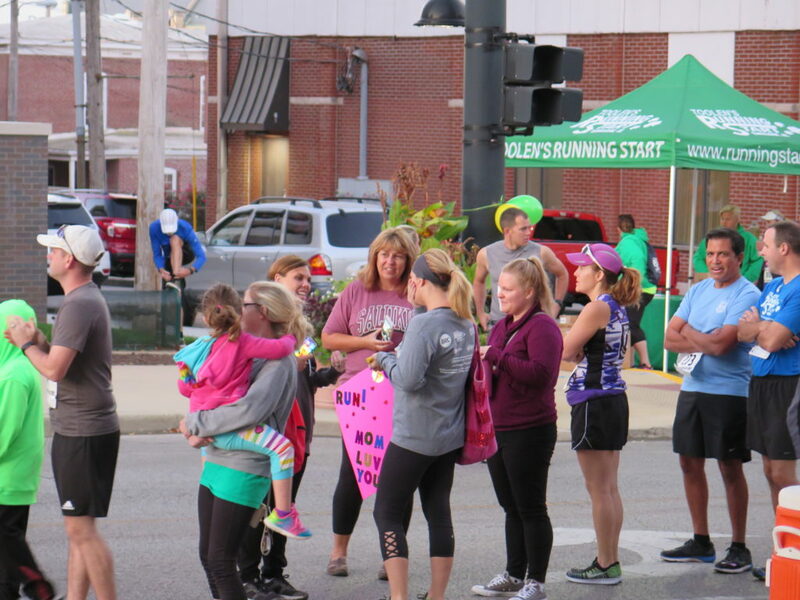 PACKET PICKUP: 10 a.m. to 7 p.m. on Friday, Sept. 27, Toolen’s Running Start, 3260 Green Mount Crossing Dr., Shiloh, IL 62269, and on race day from 5:30 to 6:30 a.m., at First and Main Streets in Belleville, IL. All proceeds benefit the Belleville Parks and Recreation Department and The Backstoppers.